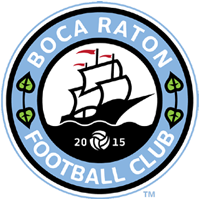 Boca Raton Football Club is excited to announce that Juninho Da Silva has joined the club as the head coach of the Boca Raton High-Performance Soccer Academy, and assistant coach of the Boca Raton FC first team. An offensive midfielder during his time as a player that span over 26 years in five different countries, Juninho comes to the Boca Raton FC High-Performance Academy from the Palm Beach Suns where he was the assistant coach last season. Having played in prestigious clubs in Brazil such as Vitoria and Flamengo, Juninho moved to the United States in 2005 where he played with the Rochester Rhinos of USL in the 2006 Lamar Hunt U.S. Open Cup. The Bahia native will hit the ground running, as the academy team will continue its high-performance trainings throughout the year as they prepare the academy to face some high-level competitions from now until the end of the year. Juninho’s vast knowledge of the development side of clubs is evident in his coaching stints as the Brazilian has coached Under 13’s, at the Juventus Soccer School in Miami, the Junior Varsity girls team at Eastridge High School in Rochester, New York, and a handful of U18s in Puerto Rico while he played for the Puerto Rico Islanders from 2004-2005.